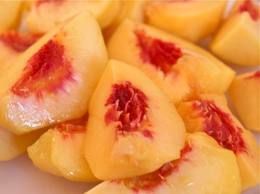 Fresh Summer Peaches are mouth-wateringly scrumptious at this time of the year! You can find them at your local farmer's market and in the grocery produce section... sometimes even being sold by the basket on the side of a quaint country road. Not only are they delicious and good for you, they are also great for your skin! Peaches contain natural alpha hydroxy acids that gently exfoliate and cleanse the skin, as well as Vitamin A, C and E, all of which are excellent for helping to strengthen and protect the skin, and aid in natural production of collagen. 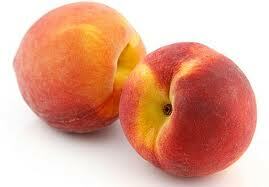 For a "peachy" complexion, you can go straight to the source: PEACHES! Applying peaches topically helps your skin to release dead and dull skin cells, while helping to unclog pores, smooth fine lines and revitalize your complexion. * For the healthiest treat, use organic ingredients where possible. Whip peach and egg white together in a blender or with a fork, until frothy and smooth. Gently pat mixture over face, using your fingers - avoiding eye area. (Use fresh - discard any unused mask). Rinse off with cool water, pat dry... follow with moisturizer. This is best made in a blender, but if you don't have access to one, you can use a fork to mash up the peach to a pureed consistency, and stir in each ingredient separately. Apply the mask to your face using your fingertips, avoiding eye area.